1. 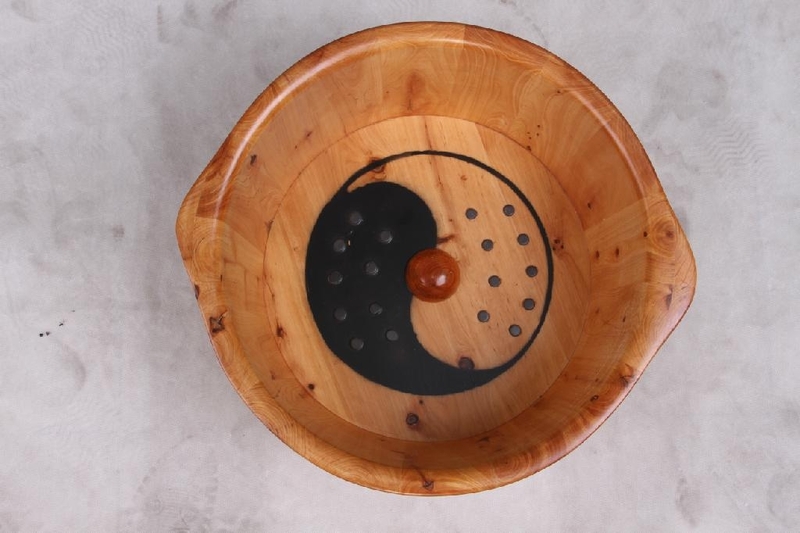 China has a long history using the wooden foot tub, this foot bath tub using traditional craft production, circular design, the Taoist Tai Chi pattern, contains Chinese culture health life skills. 2. The use of high-quality cedar casks produced with natural cedar scent can be used as medicine, which can make people feel peace. It is environmental, no pollution. 3. The bottom of the barrel in accordance with the principles of the foot points, Tai Chi magnet design diagram, studded with 18 massage beads natural trace elements contained in the magnet, the promotion of human health. Through massage to stimulate the pace, promote blood circulation, the role of traditional Chinese medicine acupuncture treatments. 4. You can also massage the bowl dry basin prominent wood beads, you can step up foot massage nerves, blood smooth. 5. Use a magnet Tai Chi basin feet feet, can eliminate fatigue, promoting blood circulation, improve digestion, health and beauty, away from the sub-health.